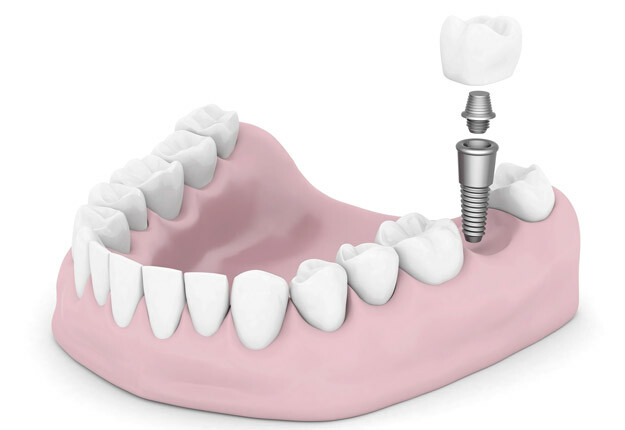 Dental implants have completely revolutionized conventional concepts regarding restorative dentistry, and have undoubtedly become the best restorative option for the missing natural teeth. Not only are they durable, but they are also sufficiently strong to withstand the heavy occlusal forces that are generated within the oral cavity. However, continued research is being carried out worldwide, in order to discover newer techniques and materials for the fabrication of the dental implants. Let’s have a look at the current newest techniques and methods that are being used in implant dentistry. Rigorous research is being performed in the field of dental materials, especially concerning the dental implants. Following is an overview of the latest trends that are being followed in implant dentistry. Finite Element Analysis (FEA) – in this technique, the structure of the implant and its surrounding bone is broken down into extremely minute three dimensional pieces, or nodes, and the forces and their mechanics are calculated at each individual node. Failure of the dental implants was a common problem in the past, however, with the help of FEA, material scientists and dentists can have an exact idea where excessive forces are being generated, that can lead to the fracture of the implant, and the design is modified accordingly. Computer Aided Design and Computer Aided Manufacturing (CAD CAM) – gone are the days when a dentist had to choose from pre-fabricated sizes and shapes of implants. Now, with the help of CAD CAM, a digital imaged of the patient’s dentition is fed into the computer, which in turn suggests a design for the implant. However, this design can also be tweaked by the dentist according to his or her experience. Once the design in approved, the implant is milled using the milling machine in the CAD CAM within minutes. Therefore, now dentists can design their own custom made implants, in addition to maintaining a digital library of the implants which can also be used for future purposes. Electron Microscopy – this high resolution and magnification imaging technique can help in the visualization of the extent of ossoeintegration that has developed between the implant and the surrounding bone. In addition, the composition and the quality of the oxygen layer surrounding the implant can also be visualized without much need for sample preparation. Implants and Nanotechnology – with the help of nanotechnology, various nano-sized surface coatings have been developed for dental implants, that not only improve their bio-compatibility, but also encourage the process of ossoeintegration of the implants. In addition, several nanomaterials have are being tested for use as an implant material. Glass Fiber Reinforced Implants – research is being carried out to use glass fiber reinforced, light cured composites for use as implant materials. The main idea behind this research is that the introduction of glass fibers into dental composites substantially enhance their flexural strength and toughness. Initial in-vitro studies have provided encouraging results, which need to be correlated with in-vivo and animal studies. Micro-casting – the micro-casting techniques involve using a metal melt, which is then cast into a metallic mold, and allows fabrication of dental implants with very fine detail and complex geometries. Advantages of this technique include cost effectiveness, and the ability to manufacture identical implants on an industrial scale. The amount of research and funding that is being put into the field of implant dentistry signifies that this is just the beginning, and there is a lot more to come. In the future, newer implant materials that are not only safer, but are also more cost-effective, biocompatible and easy to use, are expected to be discovered and used for the fabrication of dental implants.